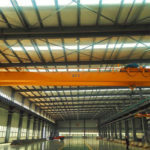 Factory overhead crane is widely used in various working sites. It is the lifting equipment with standard design in our company. Our group adopts domestic advanced compact structure which makes the machine have good performance and beautiful exterior. The core technology of the current construction machinery products is mainly reflected in the overall design and technology integration. If the company can’t research and develop new technologies, new processes and new products in time or if the firm can’t meet the requirements of the market, the products and the company may be at risk of being eliminated. 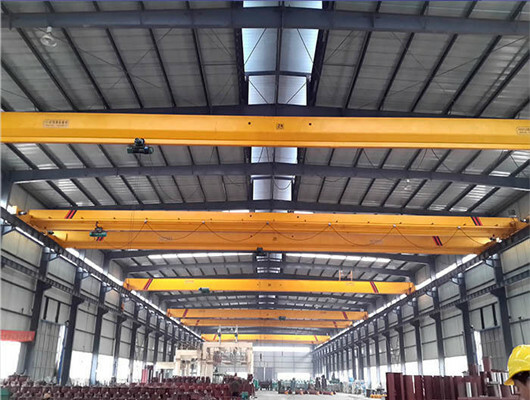 So, in order to meet the users’ needs, the overhead crane is designed with frequency conservation and environmental protection devices. The crane product has simple operation and convenient maintenance. In addition, the overall technical level has reached the advanced class. As the important lifting equipment, it meets the requirements of energy saving and environmental protection. 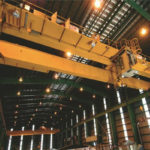 Are you researching for the factory overhead crane? You can visit our factory in China. 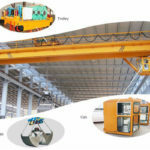 Factory overhead cranes have a series of lifting equipment, such as LD type, LDZ type with grab, LX type electric single girder overhead crane, European type etc. 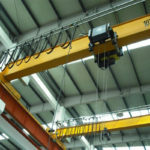 European overhead cranes are formed in the crane industry in recent years, which is the new generation crane and mainly combines into many advantages. Especially, it adopts characteristics of these industrial cranes, such as overhead cranes, gantry cranes, cantilever cranes and flexible beam cranes. European overhead cranes are based on European lightweight and modular design concepts and some advanced manufacturing processes, which enhances the entire crane to have compact structure, smooth operation, lighter weight, and lower height. These ways improve product’s working process and increase productivity. In addition, it is the lifting equipment of energy saving and environmental protection. The European crane combines into the advanced technologies of lifting equipment. It concludes advantages of the domestic and foreign crane which is reliable, versatile, and inexpensive. What’s more, European cranes have the features of compact structure, light weight, energy saving, low noise, etc. According to the characteristics of customers’ requirements for bridge cranes, European overhead cane meets many clients’ needs. The QZ grab overhead crane is widely applicable to the loading and unloading of bulk materials in power plants, freight yards, workshops, docks and factories. Compared with LDZ electric single beam grab cranes, QZ has a higher working level, faster lifting and faster operation. It increases higher work efficiency. The lifting capacity is 5 to 20t and the span of 10.5 to 31.5 meters. The lifting height is 6 to 18 metes. The crab travelling and trolley travelling mechanisms have different running speed and the operator can control it. The direction of platform door to the driver controlling room has three methods of side, end and top type. The product can work indoor and outdoor. Grab opening direction has two methods of parallel main girder and vertical main beam. However, the grab is just suitable for the bulk material in the state of natural accumulation. If you wan to grab materials in water or special goods, the customers should directly indicate it when you order product. 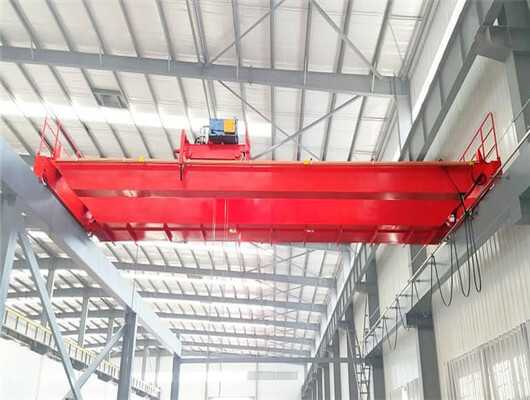 LD type electric single girder crane is the first domestic derailed electric single girder crane equipment, which absorbs the advantages of similar products at home and abroad. 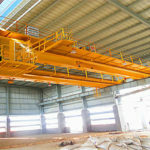 The crane is 1 to 20t with the span of 7.5 to 31.5m. It has two control methods of ground control and operational controller. 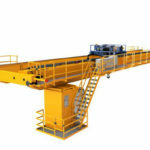 The single-girder crane can work in the environment from -20 to +40 degrees Celsius. It often works with CD1, MD1 model electric hoist as a whole. In addition the factory, it can be widely used in the warehouses and material stocks to lift goods. It has many advantages. The electric hoist is located on the side of the main beam. 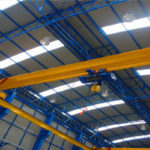 The electric single-girder crane increases the service space of the hook. 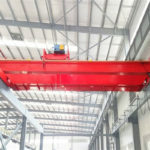 The single-girder crane can reduce the height and cost of the factory building. Small wheel distance is reasonable and the crane has smooth operation. The trolley travelling mechanism uses two-speed motor drive, which takes advantages of smooth operation and accurate docking of equipment. The trolley travelling mechanism is an independent component that is conducive to processing, assembly and maintenance. The product of three-in-one gear reducer with advanced technology has low noise and long service life. 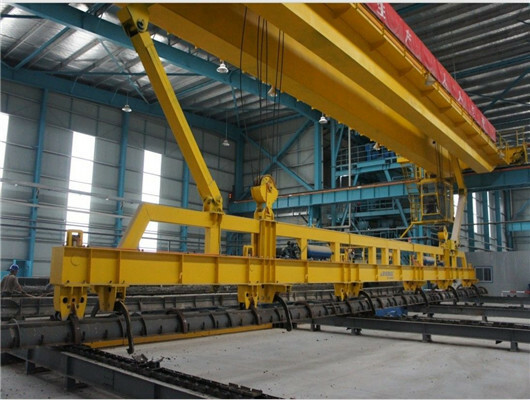 The LD type electric single girder overhead crane has beautiful exterior. 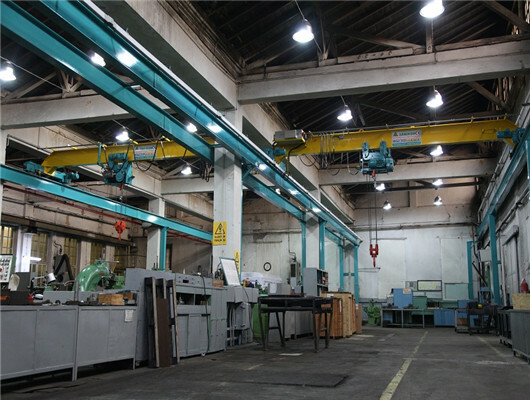 The factory overhead crane greatly reduces the construction and equipment operating costs for the crane operation plant. 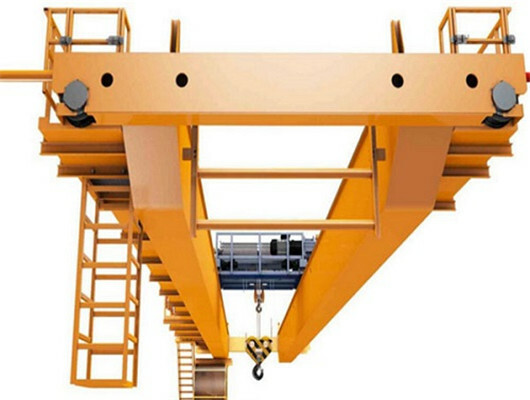 It improves the factory crane’s quality and performance. As the market matures, the cranes will become the mainstream of crane development and market demand enhance development of lifting equipment. In the coming period, China’s construction machinery industry is still in a period of rapid development, especially the prospects for factory overhead crane. At present, the crane industry policy has become increasingly stringent. The state has introduced many laws and regulations in terms of safety, environmental protection, and energy conservation. At the same time, there are more stringent trends in the implementation. The enactment and implementation will increase the technical requirements for products in the lifting industry and maybe increase the product cost. As for the increasingly fierce market competition, the crane market has faced a global competition. 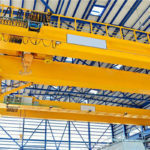 According to factors such as the improvement of product technology and the reduction of manufacturing costs, the competition of the future crane industry changes. 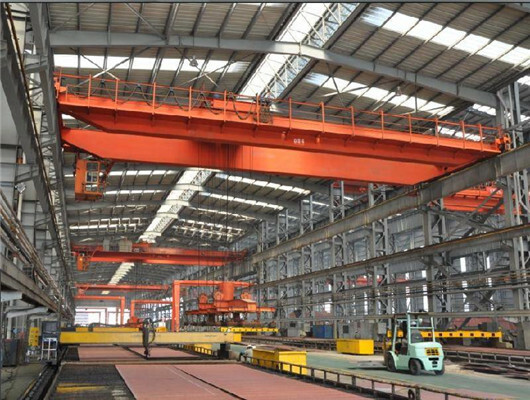 Weihua factory overhead crane is very popular about many countries. After more than 30 year development, we are the leading manufacturer and supplier of construction machinery in China. Recently, our company can supply customers from all over the world with various lifting equipment. 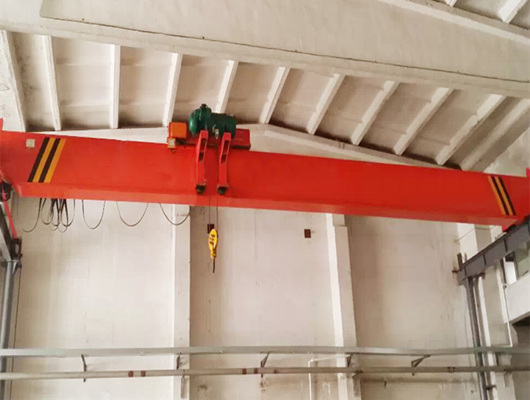 Now, the factory overhead crane becomes popular in some countries. If you are interested in our products, please contact us as soon as possible.